The concept of the Australian Targa Championship is drawn directly from the best features of the Targa Florio, Mille Miglia, the Coupe des Alpes and the Tour de Corse. However, the Australian Targa Championship is not a slow motion re-run; it is a genuine "red-blooded" motorsport competition. The championship comprises four rounds, starting with Targa Adelaide in August. 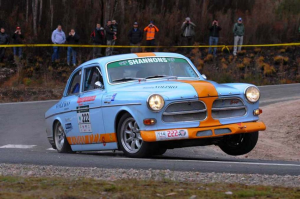 This is followed by Targa High Country in Victoria during November, Targa Wrest Point in Hobart in February and the series finishes with The Ultimate Tarmac Rally, Targa Tasmania, across the state of Tasmania in April. The format provides a unique opportunity for the owners of sports cars and GTs to drive them the way they were designed to be driven, on some of the most exciting and challenging tarmac roads in the world. 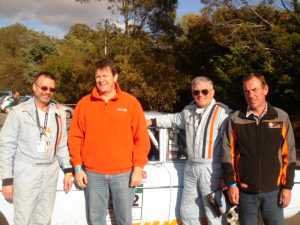 A trophy is presented to the driver and co-driver or navigator of each crew that completes each and every Targa stage within the trophy time specified in the road books for their vehicle class. More desirable is the achievement of a Golden Targa Trophy, which is presented to any crew member (driver, co-driver or navigator) who is awarded a Targa Trophy in three successive years of the event. The Golden Targa Trophy is presented in lieu of the normal Targa Trophy award. CLICK HERE for the history and story of Targa Tasmania. CLICK HERE for CAMS Australian Targa Championship winners.